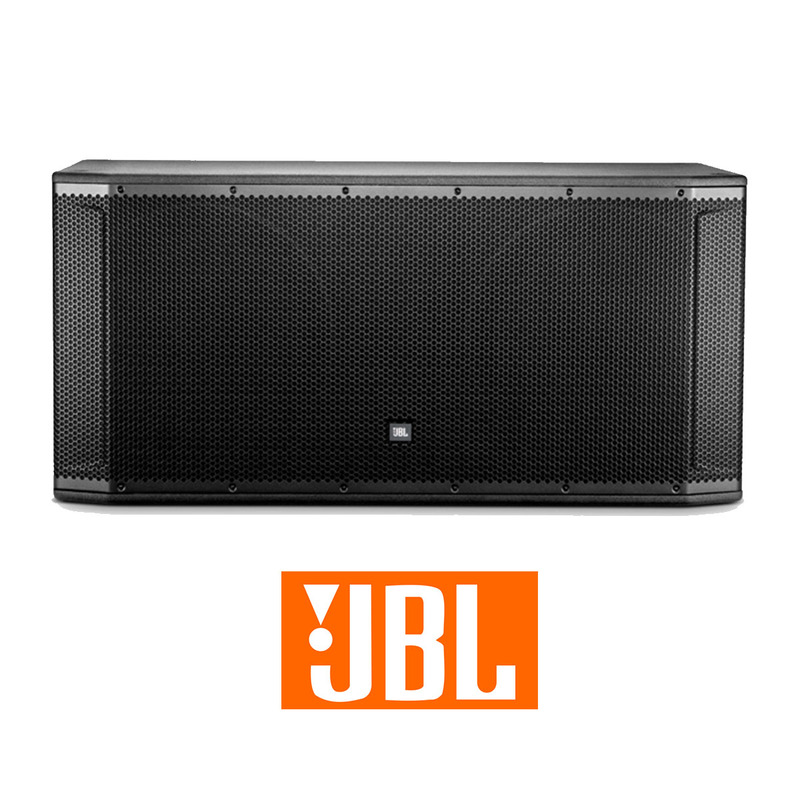 The SRX828SP is a powered portable subwoofer in the SRX800 series from JBL Professional. It has been designed to deliver class leading performance in a variety of applications including small and medium sized installations and tours. When used in conjunction with the SRX800 full range systems and other SRX800 subs, SRX828SP in an integral part of a high performance, fully configurable loudspeaker system. With and M20 pole cup and indexed feet, the SRX828SP can be configured for a variety of applications, including being stacked in a cardioid configuration for large shows on stage. For incredible extended low frequency response, the SRX828SP uses an 18-inch woofer with JBL’s patented Differential Drive Technology for reduced weight while maximizing power amp efficiency. 3” voice coils and dual ferrite drivers deliver exceptionally low distortion and extended low frequency response.